He's a cheery snowman Pat, good theme as we should all make a few more Christmas tags, or in my case even one would be a start. Fantastic Christmas tag, Pat. 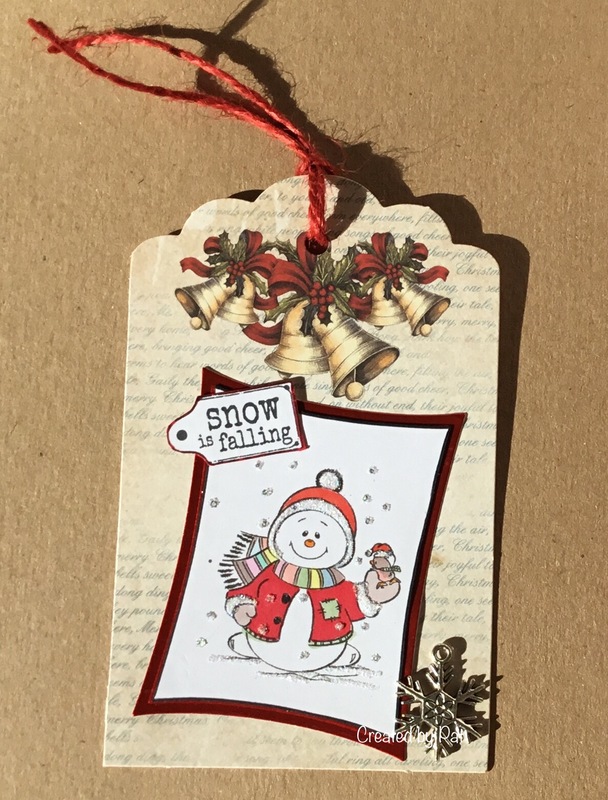 I love this cheery little snowman and the bells and snowflake are great additions. Today is sunny again but it looks cold - I'm not planning on finding out..!! Hope it stays good for midterm - my grandchildren had their's last week and the Scottish one was the week before that. 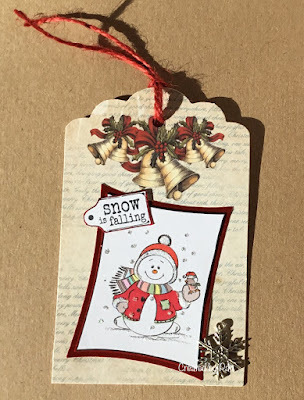 Super cute little tag Pat, the snowman is adorable, love the added charm too. I always intend to make tags for Christmas, but rarely get around to it...maybe this year! Hope the weather is kind to you this week, have fun with your girls! A super tag Pat, such a fun snowman.